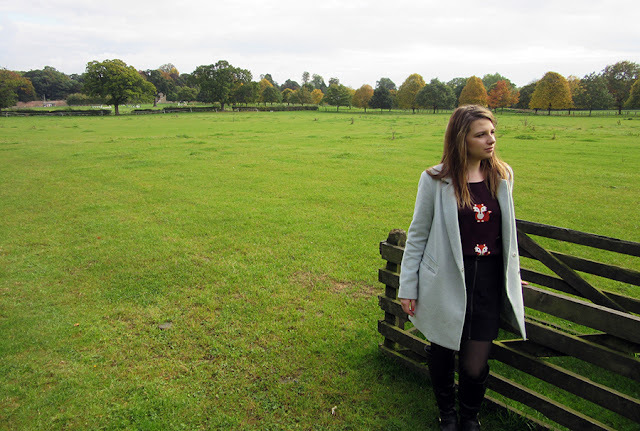 I love going into supermarkets and having a nosey around the clothing section, I could spend hours on end wandering up and down the isles deliberating on what I can justify buying. I do find myself putting some items of food back on the shelf just because I saw a cute top or dress that I wanted. 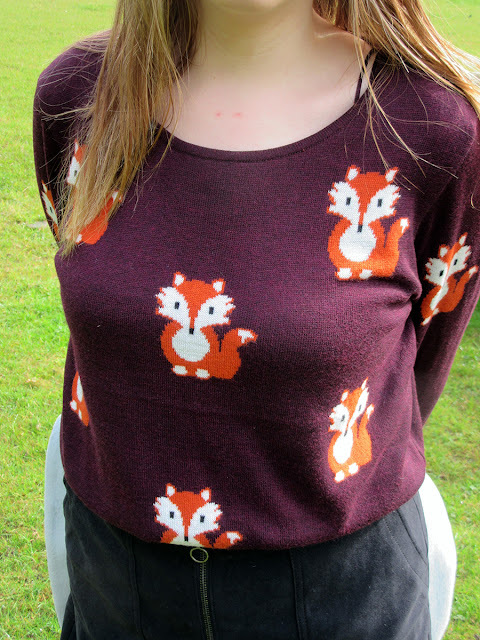 There are some great hidden gems on the rails, you might have to search a little bit harder than what you would do in high street stores but it is well worth it, especially when you find an item of clothing like this fox jumper. 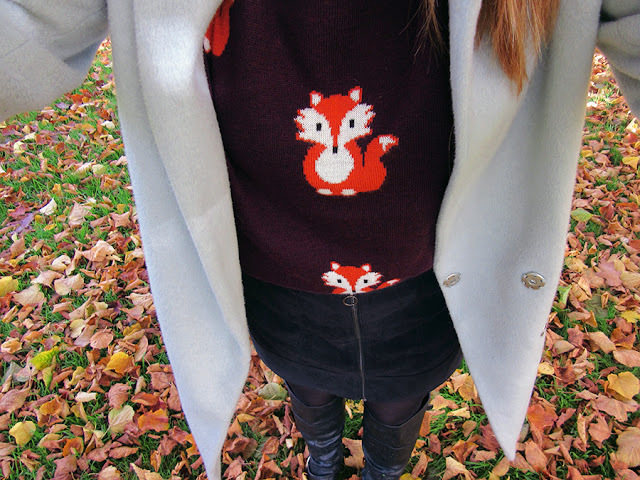 I'm not usually one for bold designs but there was something about this jumper that drew me in, everything about it is perfect; the colour, the print of the cute foxes - which both scream Autumn. The shape, quality is just spot on, however I do find that it goes a little bit baggy after a few hours so definitely size down if you are to get one. 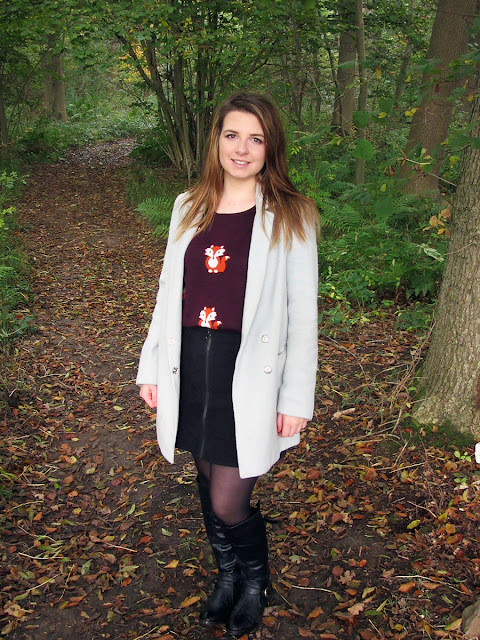 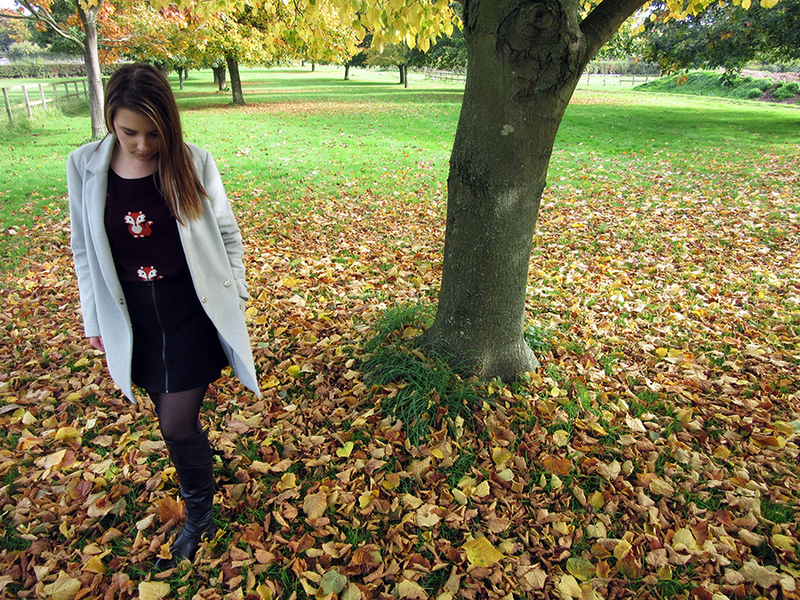 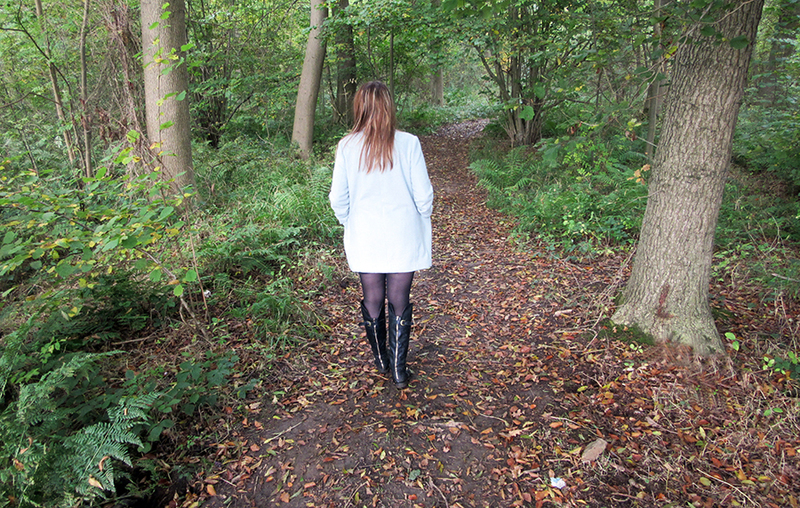 I paired it with my suede black skirt and light blue coat from New Look and my knee high boots from Dorothy Perkins. This Jumper is so cute I love it!